August! An exciting, anxious month for many of us and sadly, ending with weather disasters from west to east…with friends losing their homes, their hopes, their happiness, it’s all the more reason to take a minute and read my Happiness Hacks for August 2017 Bring More Gratitude Into Your Life. This month, I’ve had some great moments traveling, setting up my classroom, visiting with old friends and starting year 27 of teaching middle school. Along the way, I found happiness and gratitude! The summer months are my best times for plowing through my stacks of books to be read – and I made a good dent in August. 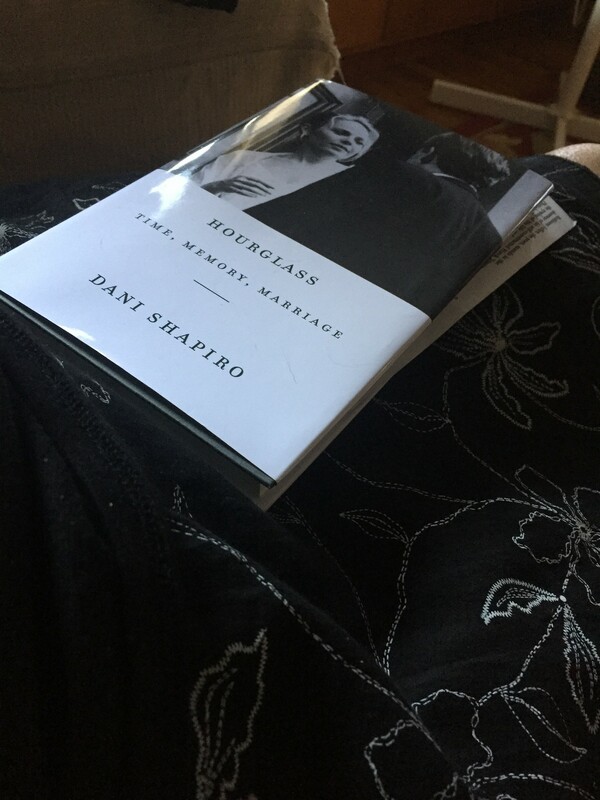 Two of my favorites were by Dani Shapiro – her memoirs Devotion and Hourglass. Wow – I couldn’t get enough of either one, finding myself wanting to shout out loud, “Hey, me too!” on nearly every page. Reviews to come. 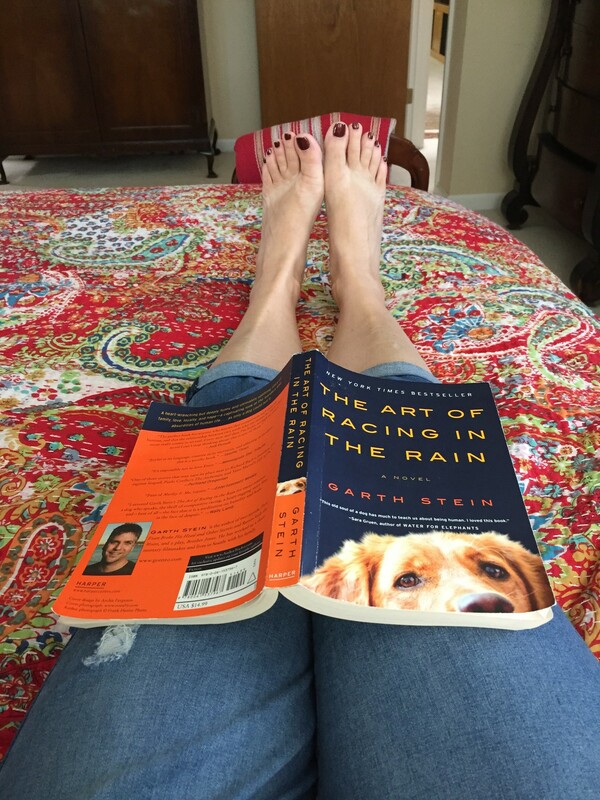 A surprise read was Garth Stein’s The Art of Racing In The Rain – it was one of those books I heard about when it first published but never got around to picking up a copy. 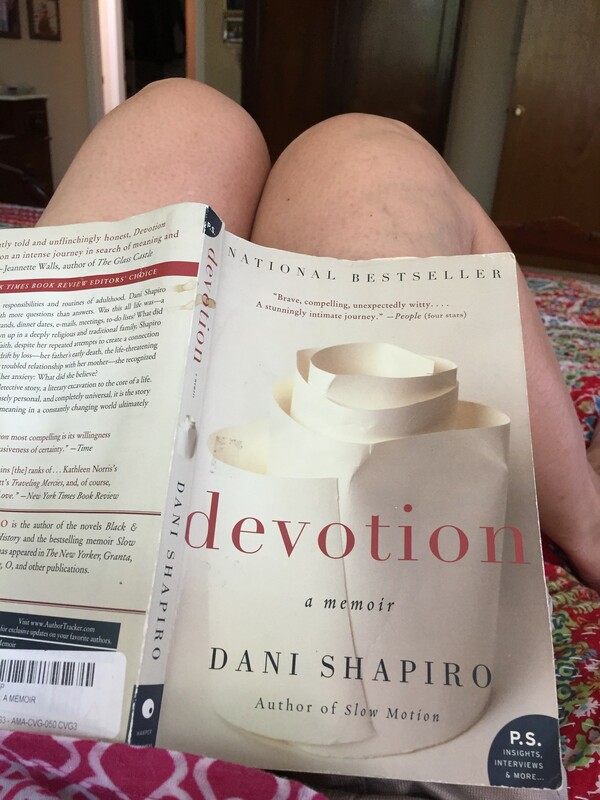 Boy, am I glad I did – such an interesting narrative technique, and if you’re a dog lover/owner, it’s a must read. In one sitting I read Garth Callaghan’s Napkin Notes – a sweet memoir about a dad, his daughter, and cancer. I’m ending the month in the middle of Louise Erdrich’s The Round House – another title that’s been hanging around my shelf for awhile. I also wrote a review about one of my favorites, Ann Patchett’s State of Wonder. Have you read it? What are your recommended reads right now? Shishito peppers. I spent four days in San Diego for an AVID conference, and my aunties introduced me to the Blind Lady Ale House and their tasty appetizer of fresh shishito peppers. Have you tried them? They’re my new obsession – simple to prepare by sauteeing in a bit of olive oil, add a bit of pink Himalayan salt and munch away! I’ve found them in bags at Trader Joe’s and Safeway – they’re not spicy, just full of flavor. Yum! Podcasts keep me company at home while I cook and wash the dishes, in the garden when I water, on my bike when I ride to school and anywhere I walk the dog. I’m constantly looking for something new and different – last month I spent quite a bit of time listening to “The Ten Minute Teacher” (super cool teaching ideas in a fast podcast format), NPR’s “Up First” (it helps to condense the daily news and avoid overwhelm) and balanced it off with the always-inspirational “Dr. 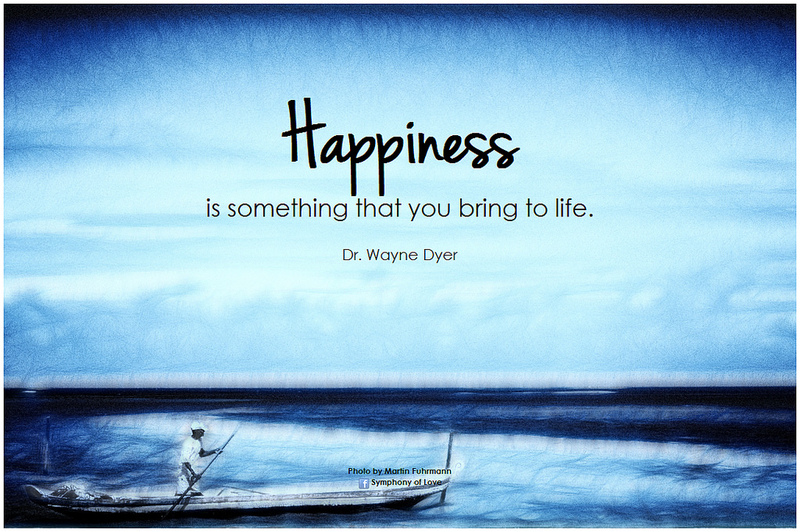 Wayne W. Dyer Podcast”. If you want to get REALLY creative, check out these amazing Sharpie projects from Happiness At Home’s blog. Pedicures. Manicures – I love them both. I don’t care if I go by myself or with a friend, I just love sitting back in the massage chair, feeling the warm sudsy water relax my tired feet and an amazing scrub and soften, followed up with a fun polish color – it just makes me smile, and for me, it’s worth the price to have a bit of pampering every few months! What do you treat yourself to? I hope these Happiness Hacks for August 2017 bring more gratitude into your life. Please be sure to leave your happiness hacks in the comments – I’d love to share your tips for living an ordinary, extraordinary life. Do you have to intentionally make yourself happier? Some people, like me, need ‘happiness hacks’ to remind themselves every day of what a blessing it is to be alive each day – what great fortune we have to be living for one more extraordinary, ordinary moment.